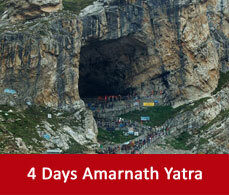 The holy Amarnath cave is situated at the edge of the Lidder valley. It is located at an altitude of 3,888 metres. The detailed description of how to reach the holy cave is given. The first part of the journey can be reached by air, rail and road but the latter part of the journey you will have to make on foot. The nearest airport is in Srinagar. Daily flights are available from Delhi and Jammu for Srinagar. Some weekday flights are also available from Chandigarh and Amritsar for srinagar. 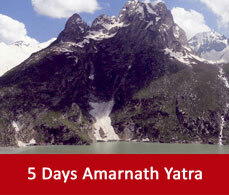 Srinagar is at a distance of 95 kms from Pahalgam which is a base camp for Amarnath. Airlines which connects Srinagar to major cities in India are Air India, GoAir, Jet Airways, Spicejet, Jet Konnect and IndiGo. 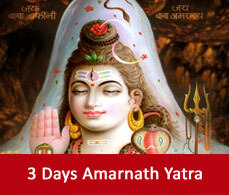 Himalayan Heli and Pawan Hans which are the Amarnath yatra helicopter routes are available which can be booked from their official website. For Jammu and Srinagar buses and taxis are available. You can hire it from there daily basis also and may hire it for your full tour. Buses and taxis can be booked from the tourist reception centre under the Jammu and Kashmir government which is located at the Ragunath Bazaar.